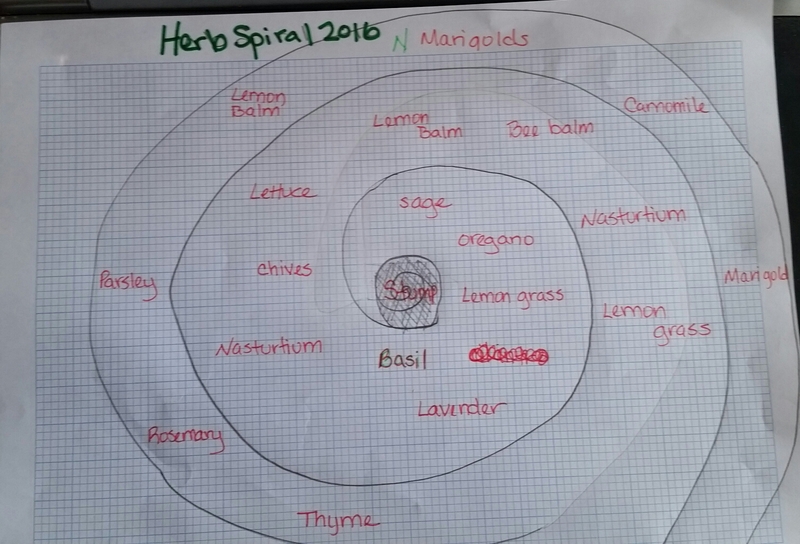 The herb spiral design is complete. Once the weather starts to warm up, we’ll start construction using patio pavers my neighbor gave us. I picked herbs for both culinary and medicinal purposes. I’ll also plant herbs good for tea like lemon balm, bee balm and chamomile. I added Nasturtiums and marigolds to the design too. Nasturtiums will ward off aphids and white flies while the marigolds will attract pest predators. I thought about planting borage too, but it takes over any space it is planted in so I opted to skip mint and borage altogether. 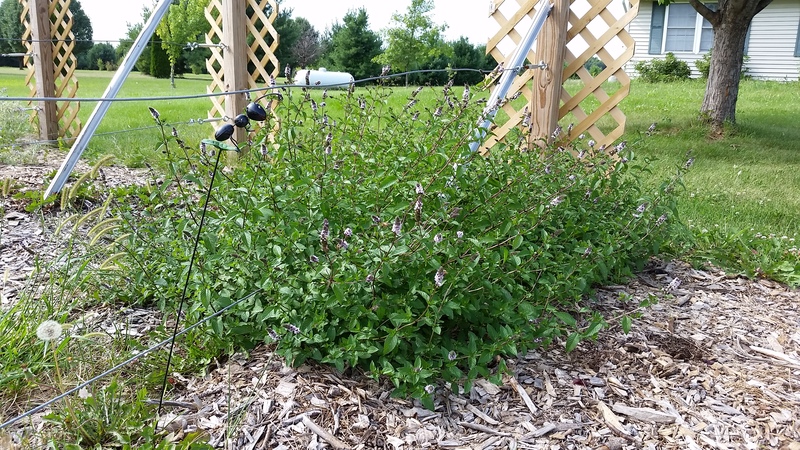 Lemon balm and bee balm are members of the mint family, but they are a bit easier to control so I am comfortable putting them in the spiral. I’ve planted lemon balm in a container and it did not take over like the chocolate mint in the vineyard. This entry was posted in Garden Stories, Garden Stories, Permaculture, Poetry, Writing. Bookmark the permalink.